Who doesn’t want to feel stronger and more flexible? For many mornings I would wake up with my muscles and joints feeling so tight. And maybe it’s from picking up too many kid’s toys from off the floor, but my lower back pain was starting to become a problem. 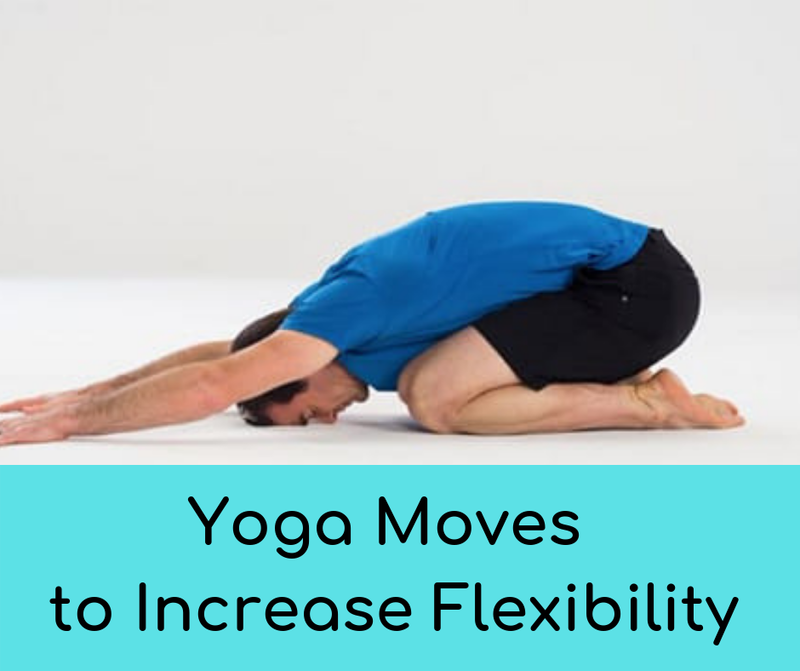 Fortunately, I discovered yoga as a way to not only improve my back pain, but to improve flexibility. No more stiff joints in the morning! And here’s the awesome thing: You don’t have to bend like a pretzel in order to receive the benefits of yoga. Below I’d like to share with you just a few yoga poses to improve your yoga flexibility. For one, practicing yoga gradually loosens the connective tissue and muscles surrounding our joints, allowing for better blood flow, less compression, and a reduction of aches and pains. It also helps to move the joints through their full range of motion, increasing the amount of oxygen and nutrient flow to protect cartilage. Both of these factors are critical in preventing and easing arthritis pain, carpal tunnel syndrome, and chronic joint pain. And thanks to all those benefits, adding yoga to your workout routine can help speed your workout recovery. With that being said, I recommend wearing comfortable clothing, finding a calm place where you won’t be distracted, and purchasing a yoga mat (not necessary, but very helpful). There are countless yoga poses, but below are five that can be practiced every day to improve your flexibility. I’ve also included a short how-to video link with each move. This pose works as a great warm-up exercise to open up the spine. Plus, your back and neck will thank you later. 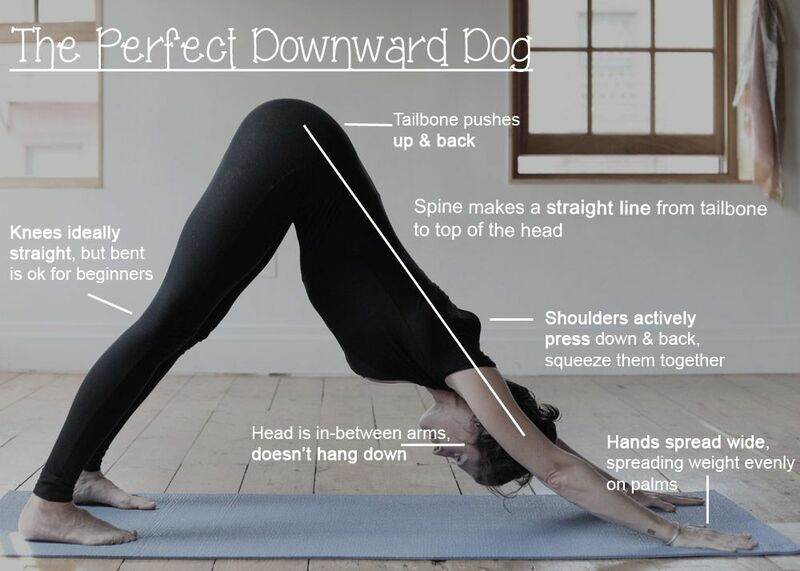 Downward dog is one of the most widely recognized yoga poses. It stretches the hamstrings, shoulders, calves, and arches of the feet, while also strengthening the upper and lower body. The seated forward bend is amazing at improving hamstring, spinal, and shoulder flexibility. A good tip I’ve learned from performing this move is not to bend your knees. Doing so will not give you the best hamstring stretch. Plus, your back will receive a much better stretch if you keep your legs straight. This pose may be difficult for beginners to bend fully without rounding the spine. If necessary, I encourage you to protect your lower back by resting your hands on blocks, a chair, or a stool. The wide-legged forward bend provides a wonderful deep stretch for the inner and outer thighs, as well as the lower back and spine. Crescent Pose is sometimes referred to as a high lunge. This is a great pose because it strengthens and stretches at the same time. A final word: Be patient with these yoga poses. I made sure to ease into each pose because I didn’t want to overstretch and injure myself. Just keep in mind that the flexibility will come. For best results, try practicing these basic yoga poses daily. You’ll notice an increase in your flexibility and range of motion. Plus, a little peace of mind.